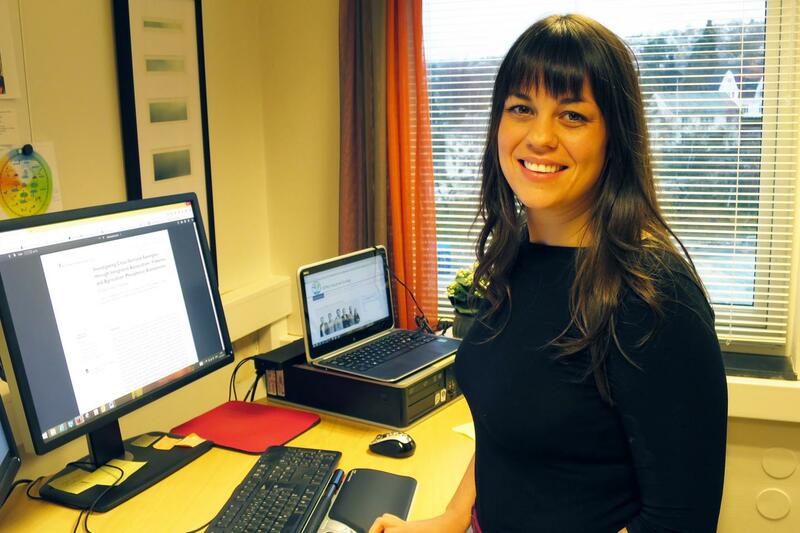 IMAGE: Helen Hamilton is a Ph.D. candidate at the Norwegian University of Science and Technology's Industrial Ecology Programme. When they looked across the board at different segments of the food production and consumption sector, they found that 17 per cent of all food that had been sold was wasted. Most of that waste was at the consumer level, partly because of the confusion caused by labelling, the researchers wrote in an article in Environmental Science and Technology. Some of Norway's major cities–Oslo, in particular, but also smaller cities like Tromsoe–collect food waste in separate green bags that can be sorted from the waste stream using optical sorting. While Tromsoe currently composts its waste, Oslo has its own biogas facility that relies in part on food waste collected in the city. While that sounds like a good thing–it does, in fact, reduce the need for fossil fuels–in sum, it takes more energy to collect the food waste and process it than it would if people didn't throw away so much potentially edible food unnecessarily, Hamilton and her colleagues found. Hamilton and her co-authors say one reason for this mismatch may be that policymakers have too narrow of a focus on solving an "end-of-pipe" problem–food waste.